Iran, Sept. 12, 2018 - On Wednesday, merchants in at least 13 cities of Iran’s western provinces have gone on strike in protest to the execution of three Kurdish political prisoners and attacks against Kurdish groups earlier this week.  Videos and pictures obtained from the cities of Mahabad, Sanandaj, Baneh, Kermanshah, Orumiyeh, Piranshahr, Bukan, Marivan, Oshnavieh, Saqqez, Gukan Tapeh, Kamiaran, and Paveh show shops and stores are closed and retailers refuse to open for business. In Sanadaj, the capital of the Kurdistan province, the bazaar is in total shutdown. Activists in the city have written slogans on the walls in support of the strikes and in condemnation of the execution of political prisoners. In Baneh, the Iranian regime’s security forces are trying to open shops by force, but the merchants are resisting and refusing to comply. The regime has also cut off internet access to prevent pictures and videos of the strike from being distributed on online channels. In Marivan, Piranshahr, and Mahabad, videos show long stretches of main streets with shops closed down. In Oshnavieh, the Iranian regime’s intelligence agents are marking closed shops with spray paints to intimidate merchants and threaten them with retaliation. On Saturday, the Iranian regime carried out the execution of Kurdish political prisoners Ramin Hossein Panahi, Loghman Moradi, and Zaniar Moradi despite international calls to halt them. The prisoners had been severely tortured and were sentenced to death based on forced confessions. On the same day, the Iranian regime’s Revolutionary Guards carried out a massive missile attack against the headquarters of Kurdish groups, killing more than a dozen people and wounding many more. The executions and attacks triggered international condemnation and protests. On Sunday, activists called for a widespread strike to begin on Wednesday. In the past months, the merchants of western provinces have become a major force of protest against the Iranian regime. In April, merchants in the provinces of Kurdistan, Kermanshah and Western Azerbaijan launched a widespread strike in protest to the closure of border gates and the increase of tariffs on imported goods. The strike lasted for several weeks.